Unit A4 Langham Park, Lows Lane. Welcome to Exec Spec Car Audio & Security. Delivering the very best vehicle enhancements for your car or fleet. Exec Spec is proud to be one company that cares about the quality of product & service. We supply & fit using the best brands in the industry ensuring our clients have the very best experience everytime. Expert advice with all car audio. From your car stereo, speakers to complete system setups! Vehicle security specialists with Insurance approved & Thatcham accredited engineers you can guarantee your vehicle is in safe hands! Find the latest Witness Cameras, Reverse cameras & CCTV solutions for your vehicle or fleet. For all your Insurance approved Stolen car trackers & fleet monitoring systems. We have Thatcham recognised Installers covering Nationwide! We offer all the top categories and have a wide range of different trackers from various brands. Professional Window tinting service for your vehicle at our purpose built workshop. At Window Tinting Nottingham we offer the various range from factory finish to limo black. 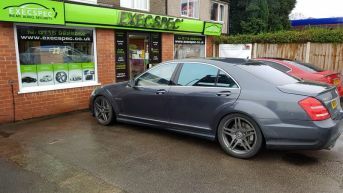 Best window tinting Nottingham. 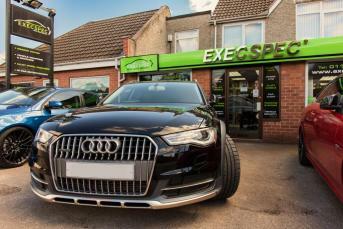 With a showroom based in Nottingham for our clients, we offer a while you wait service for majority of products & services. Your vehicle can be back on the road in no time,with our priority booking service. Our priority is always delivering the best, all our clients vehicles are treated with care & delivering attention to detail. Your vehicle completed to the highest quality with lifetime warranty on our installation. Do you need free expert advice? With our friendly staff you can guarantee best advice for your vehicle .